Welcome to Central Blind and Shade! 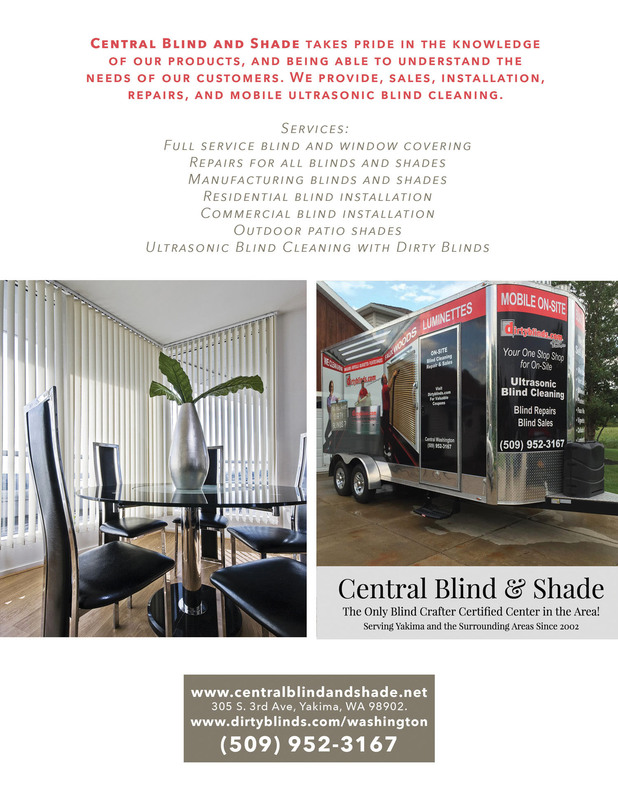 Locally owned and operated in Yakima, WA, Central Blind and Shade is a window treatment business that has been in the blind, shade, shutter installation and repair business since 2002. We provide quality blinds for a fair price, with excellent service. We have the ability to manufacture our own blinds and shades at our shop in Yakima, WA, and we are the only Certified Blind Crafters located in Central Washington. We can provide you with any style of blinds or shades that you need! Central Blind and Shade takes pride in the knowledge of our products, and being able to understand the needs of our customers. We provide, sales, installation, repairs, and mobile ultrasonic blind cleaning. You can come to our shop or we will be glad to come to your home to provide you with fast, friendly service. This means great savings for the home or business owner as we have cut out the middle man. Central Blind and Shade uses quality materials that will stand the test of time. We service residential & commercial blinds, shades and repairs. Give us a call for all your window treatment needs. We look forward to working with you! Take advantage of our Quarterly Specials! Copyright © 2019 Central Blind & Shade, all rights reserved.